Twelve year old Bethany Buettner, working with her father, published The Baptism Song Book from a lullaby her father wrote to be sung at children’s Baptism celebrations. When his wife was pregnant with twins, Dennis penned The Baptism Song after he could not find a suitable song for their old fashioned riverside Baptism celebration. 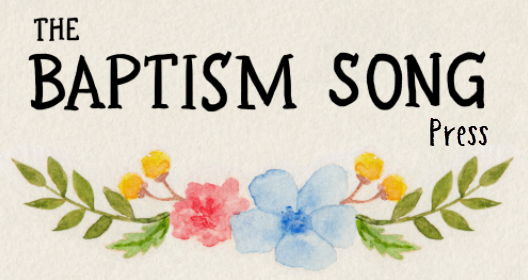 The Baptism Song Book is being translated into at least 7 languages sung and spoken by over 1 billion Christians worldwide. Budding artist, Bethany Buettner wanted some “daddy and me” time when she asked her father to show her how to design, draw and publish a book. Little did she know they would create a “first and only, one-of-a-kind,” children’s picture book illustrated to enhance and memorialize the celebration date of Christian Baptism, Christening and Baby Dedications around the world. Note: We live in Maryland, USA on Washington, D.C. time. Bethany does homework from 4:00 - 4:30 PM. Dennis can be contacted anytime.